Also known as premises liability, a slip and fall is the result of negligence by a property owner to properly maintain the premises in a temporary sense from a spill or leak or a longer term decline in care resulting in dangerous walkways, steps or landscaping. It could also be related to poorly designed facilities or improper signage or lighting. Property owners have a “duty of care” to see that their property is safe. This includes insuring that the building has no structural or design defects inside or out that could cause an accident like a slip and fall. Structural defects can include: loose floor mats, rugs, or tiles; water on the floor; badly lit stairs or steps; and cracks or holes in sidewalks or parking lots. Weather-related hazards may include standing water and icy spots. A customer to a business or guest in a hotel has a duty to exercise reasonable care during their time on the property, so a fall on someone else’s property doesn’t necessarily mean there is a legal case that can warrant compensation for the injured. Negligence on the part of the property owner must be proven to have contributed to the slip and fall accident at least to some degree, even though some action of yours may have also contributed to the accident. However, cases can be made even if you share in the negligence with the property owner. Often people assume they “should have been more careful” or are “just clumsy,” but if you are truly injured after a fall, don’t take too much of the blame. Try to determine what made you fall and if it could have been anticipated and prevented. Get the names and addresses of all witnesses. Note the conditions in the area and even the weather if it was a factor in your fall. For example, note if the lighting was poor or there was some substance that made you slip. If you did slip because of something on the floor, try to obtain a sample. Get pictures of the area. As with any accident, the first priority after a slip and fall is to address any serious injury you incur. 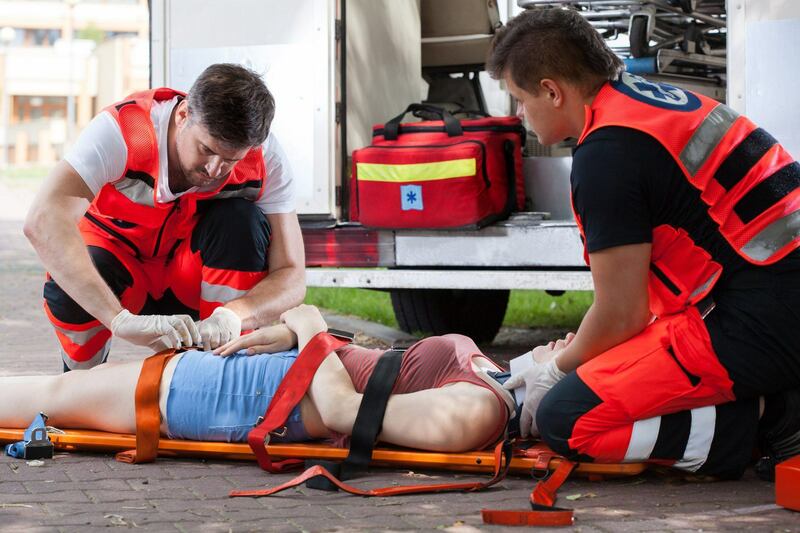 After seeking medical attention, please contact us if you have fallen and been hurt on another’s property during a visit for social or business purposes, or even while on vacation. We can help ensure the property owner’s make the necessary repairs or changes to prevent future patrons from being injured and have their insurance company help compensate you for your injuries, your medical bills, your time off of work and other expenses you may incur as a result of a slip and fall accident. If you slipped, fell and injured yourself and are trying to find personal injury lawyer, please call our lawyers today for a free initial consultation about your accident with no obligation to hire us as your attorney and no fee collected unless we win compensation for you.